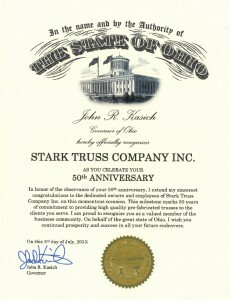 The Governor of Ohio, John R. Kasich, officially recognized the Stark Truss Company, Inc. in honor of its 50th anniversary. He also congratulated all of the people that made this momentous occasion possible. 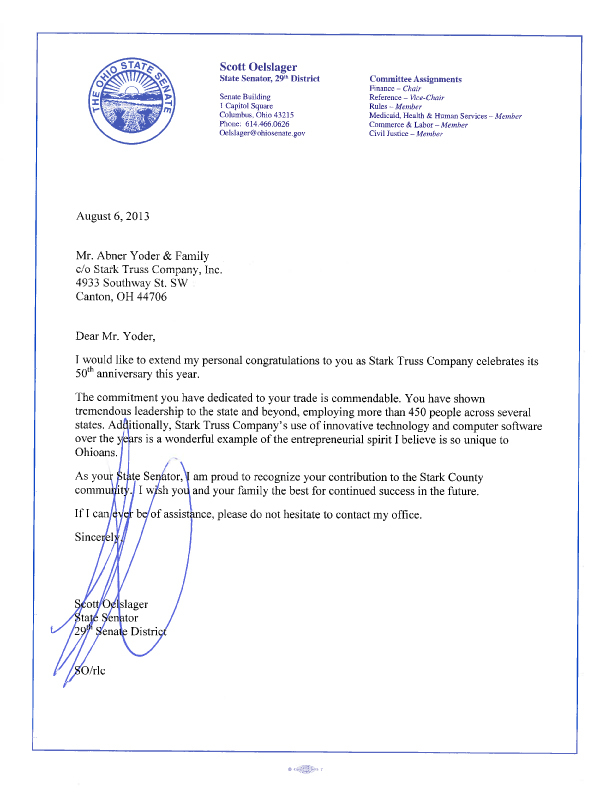 State Senator Scott Oelslager also extended his congratulations to Stark Truss Company, Inc. for its 50th anniversary. He recognized Stark Truss’ contribution to the community of Stark County. Thank you Governor John R. Kasich and State Senator Scott Oelslager. 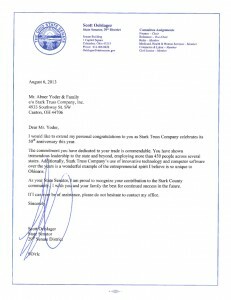 The article does a excellent job outlining how Abner and Ester started Stark Truss Company. It talks about the ups and downs of the housing market and how that effected Stark Truss Company. The article also highlights how Stark Truss Company uses technology to stay on top of its industry.